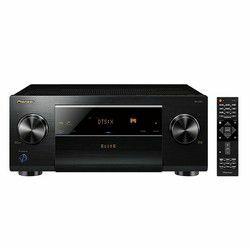 It is a 9.2 receiver with the power 125W per channel. It supports voice control with the help of the Alexa device, which is sold separately. Marantz SR7012 supports Dolby Atmos and DTS:X with different sound effect. The HEOS technology lets you stream music from any device. With the Audyssey system you can tweak everything fast and as precise as possible. The sound enhancement technologies generate great audio input – clear vocals in movies and music. Also, you can use different streaming profiles for Amazon Fire input. Several zones are supported. You can play different content in different zones. The modern interface makes it easy to use. Great support of network services, like Amazon Music, Spotify, etc. Friendly UI facilitates the process of configuring. Does not support Apple TV 4K HDR. Sometimes, it may have issues with recognizing the incoming signal. Some customers claim that this model has problems with reliability. This model supports a 9.2 channel audio setup with the power 110W per channel. It can also process 11.2 channels. This device supports 3D and 4K Ultra HD with the full rate of 60 Hz. 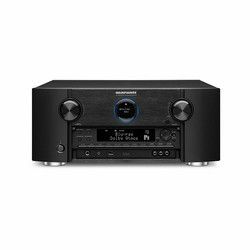 Marantz SR-6011 has Dolby Atmos and DTS:X with the HDAM technology. Due to the different wireless connection interfaces (Bluetooth and Wi-Fi) you can play content from online services, like Pandora, Spotify, etc. The Audyssey technology will configure all speakers to assure the highest precision of the output audio signal. Also, Marantz SR-6011 has the upmixing which works well. You can use upmix 7.2 to 7.2.4 without losing any quality. Due to built-in technologies you will get great audio output. An exclusive HDAM technology greatly improves quality of the output signal. The intuitive on-screen display makes the device easy to operate. Eco mode helps to reduce the power consumption rate. The HDMI pass-through is almost lag-free. Several zones with different content streaming are supported. Each stream supports 2.2 HDMI encryption. The remote controller is not very ergonomic. The menu may lack some extra features. Using two HDMI (one with a PC and one with a TV) at the same time, you may experience issues like flickering. 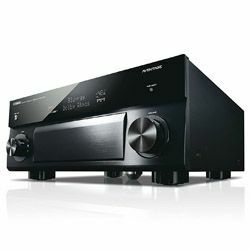 These models are great, but the receiver comparison of Marantz SR7012 vs SR-6011 requires attention to the details, so if you need to choose between these two models, here are their main advantages and disadvantages. The advantage of SR7012 is that it supports HEOS. Plus, it can be controlled via voice, which is quite convenient. The main disadvantage of this device is that it has issues recognizing the incoming signal. Sometimes you may get nothing at all. The main advantage of SR-6011 is that it has many sound enhancement technologies, like an exclusive technology HDAM. The main disadvantage of this model is that you may have some issues when 2 HDMI are used. 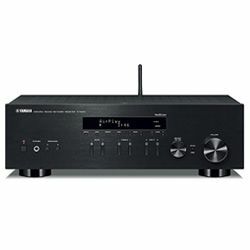 The total power is another feature to focus on – 850 W Marantz SR-6011 vs Marantz SR7012 that has 950 W.
It is not easy to choose when it comes to Marantz SR-6011 vs SR7012. 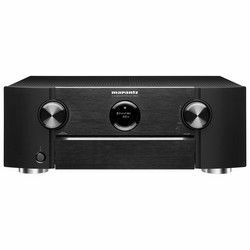 If you need a model with many sound enhancement technologies then consider buying Marantz SR-6011, but if you need such feature as HEOS, then pay attention to Marantz SR7012.